A prime location for this national event, UAT’s technology-infused campus in Tempe, Ariz., is full of VR equipment, developers and mentors. The event schedule boasted the industry’s best all presenting and discussing the ways Virtual Reality can positively impact society. The lineup included UAT Chief Academic Officer and Provost Dr. David Bolman. UAT has been teaching Virtual Reality and sending alumni to the industry for about twenty years. The positive social impact Virtual Reality can have on the world was detailed further in a recent Study International article featuring UAT’s program. The article discusses that in addition to entertainment functions, VR can be used to, “simulate big data, create augmented reality apps…and recreate day-to-day experiences.” In the early 1990’s, UAT staff and students were working with the best VR technology of the time on immersive experiences, including an archeological site map for the Egyptian government and an architectural rendering of the then-named Bank One Ballpark. Today, UAT’s VR students begin developing in the virtual world from day one. 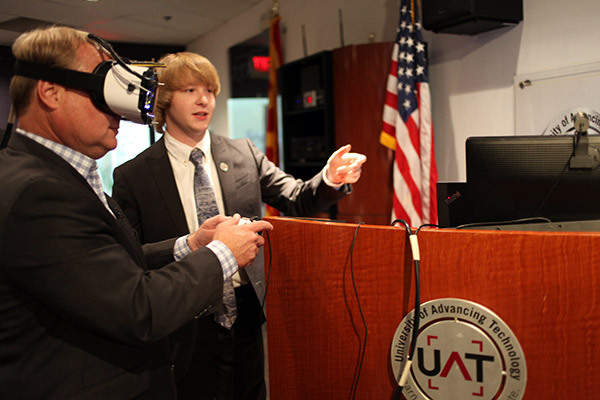 With UAT’s year-round schedule and project-based curriculum, students can obtain a Bachelor of Arts in Virtual Reality in less than 3 years and gain real world skills along the way. UAT is an elite intimate private college in Tempe, AZ focused on educating students in advancing technology who desire to innovate in the areas of emerging technology disciplines. Living on campus, students are surrounded in a true living learning technology environment that incubates their ideas into innovations that students can patent and take to market. Students must create an innovation project to graduate. VR Voice has developed a unique event that covers virtual reality’s positive social impact in different industries. Our speaker line-up is committed to making change via VR/AR that promotes the greater good.  Industries and organizations covering healthcare, learning and education, historic preservation, museums, government agencies, communications, news and journalism, and charitable causes are being profoundly affected by the VR/AR revolution and are covered in The VR for Good Summit.